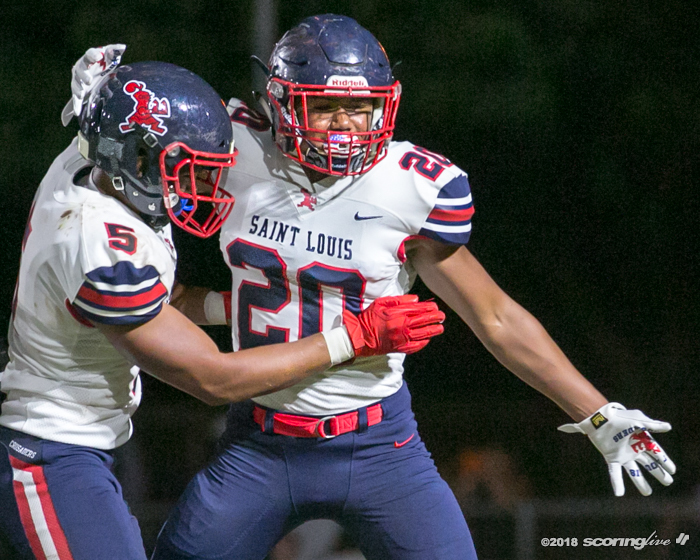 Saint Louis wasn't going to let another game be decided by just one touchdown. 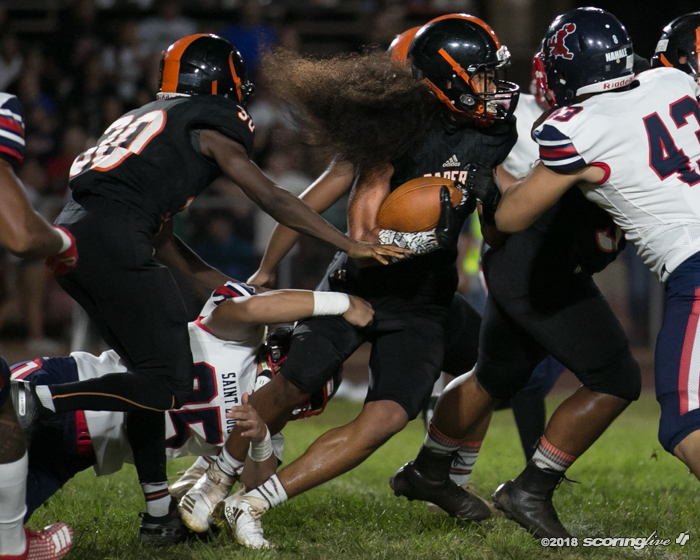 The top-ranked Crusaders outgained host Campbell by over 400 yards, 476 to 68, en route to a dominating 55-7 win Friday night in an interleague Open Division matchup at the Sabers' homecoming. 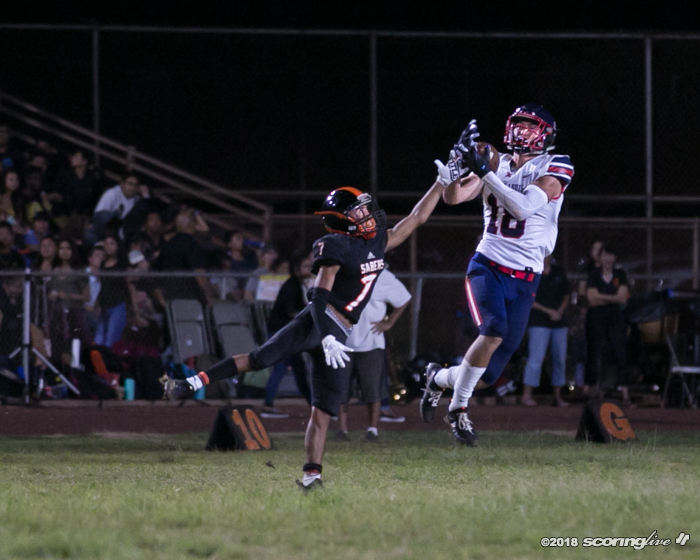 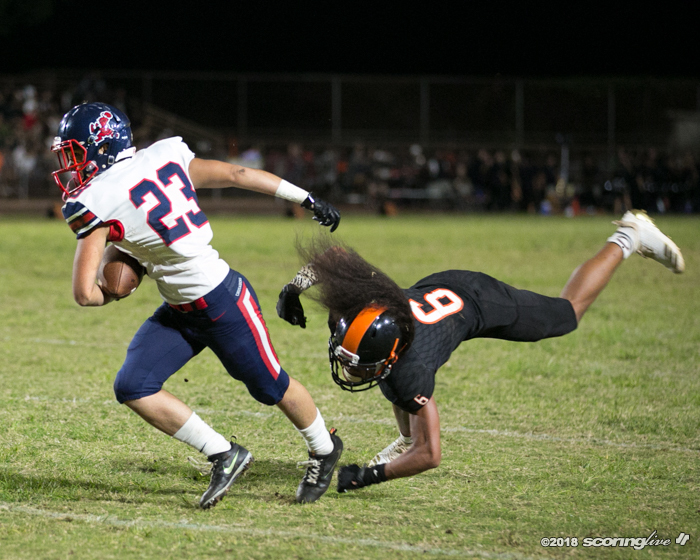 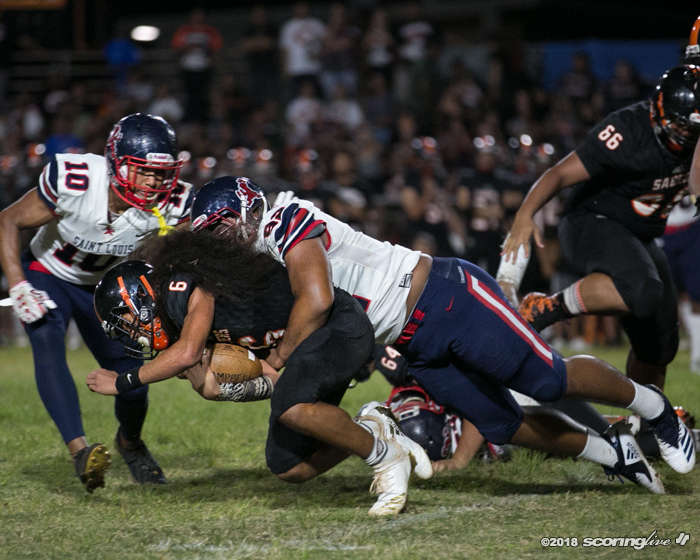 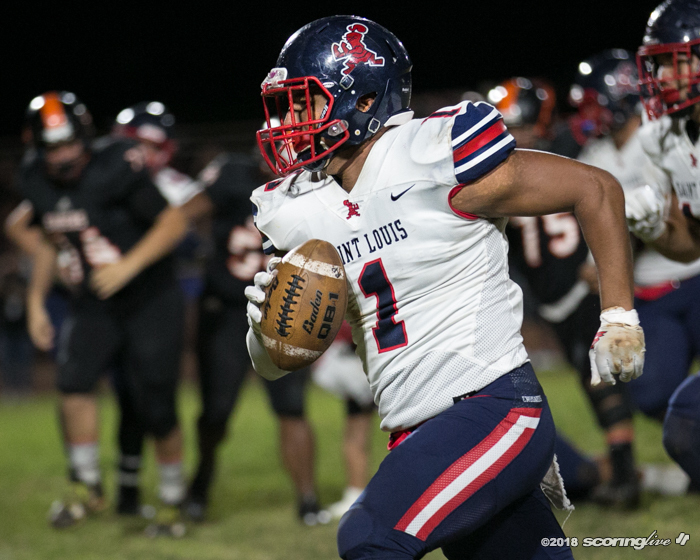 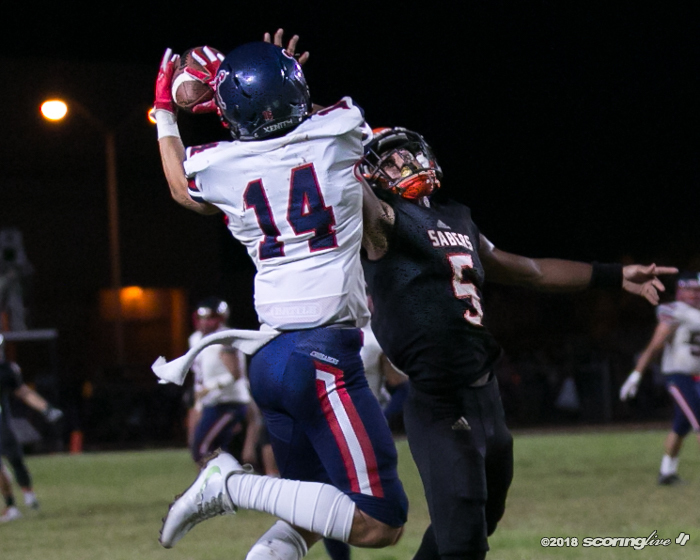 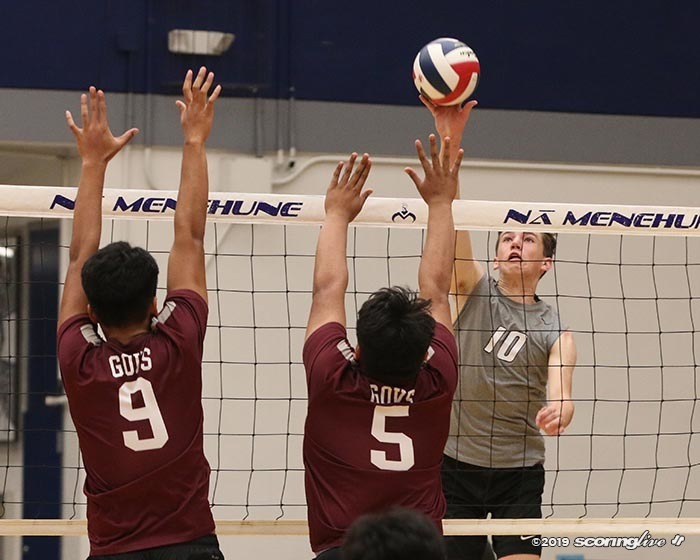 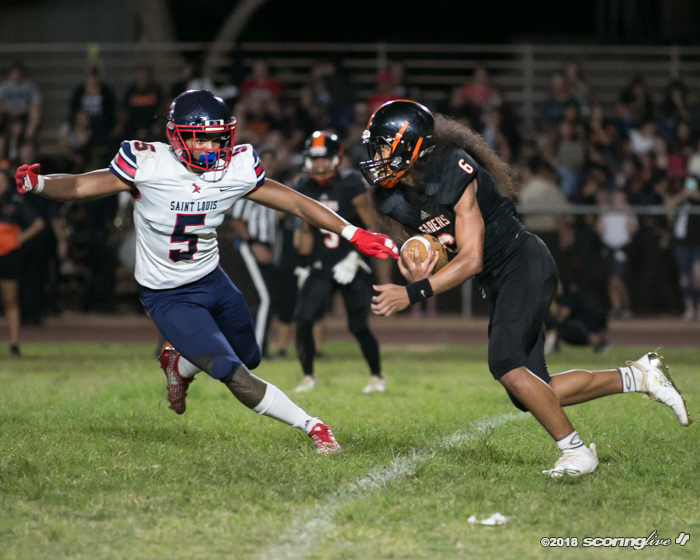 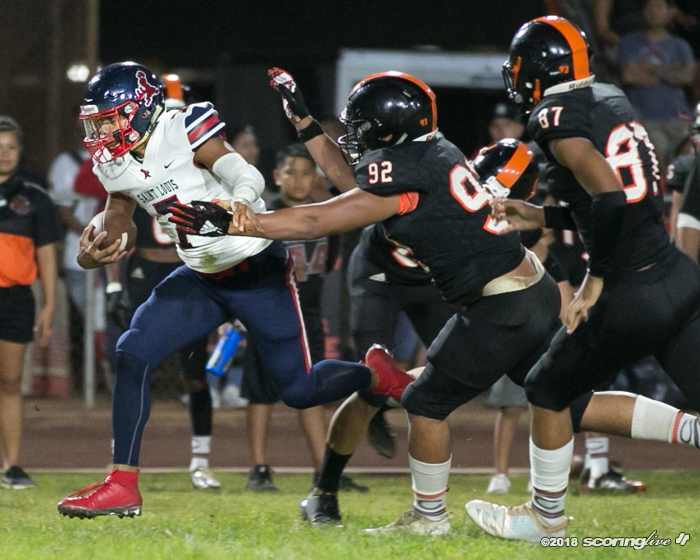 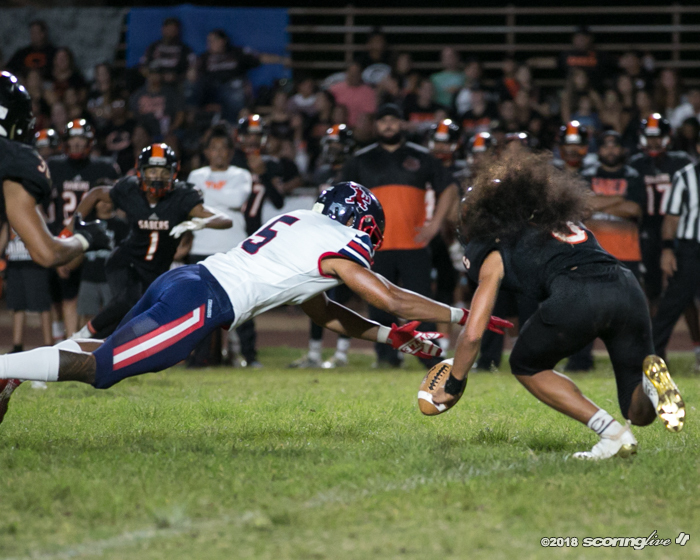 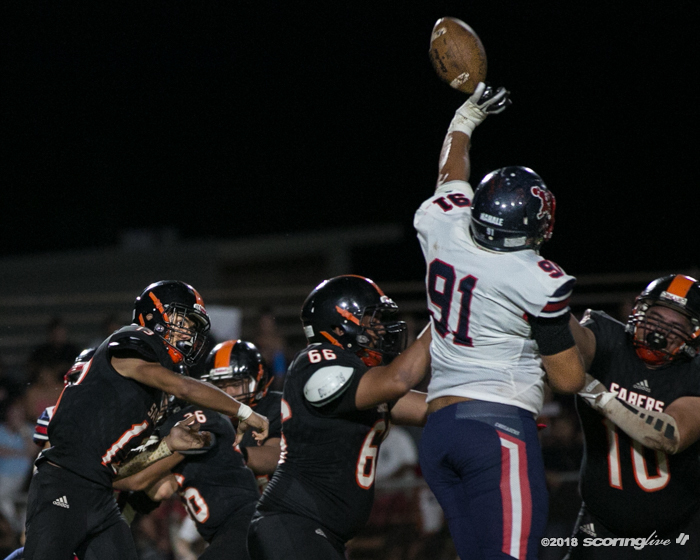 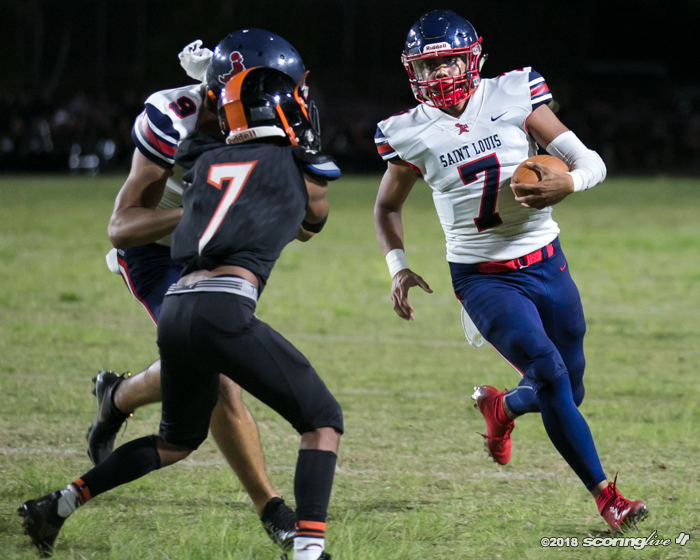 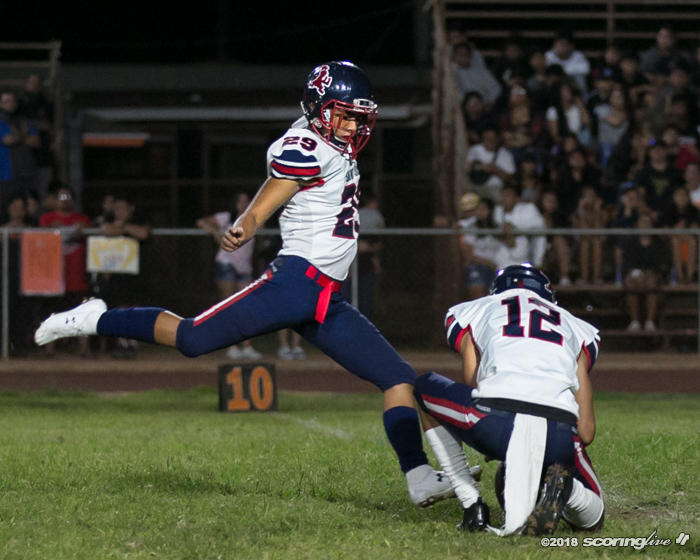 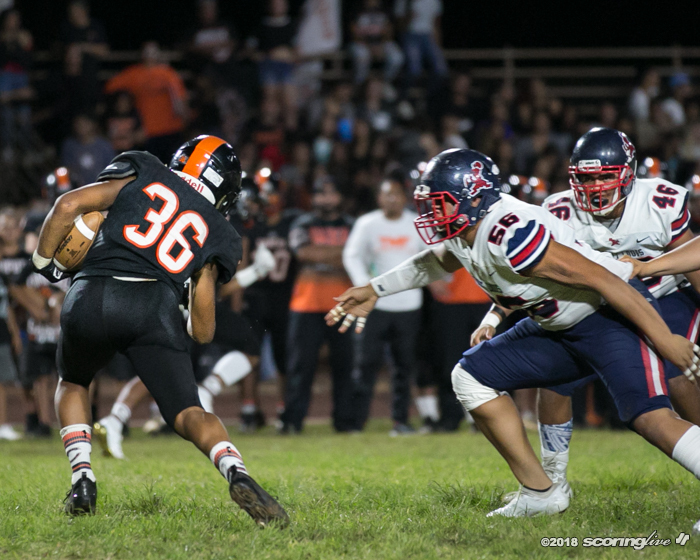 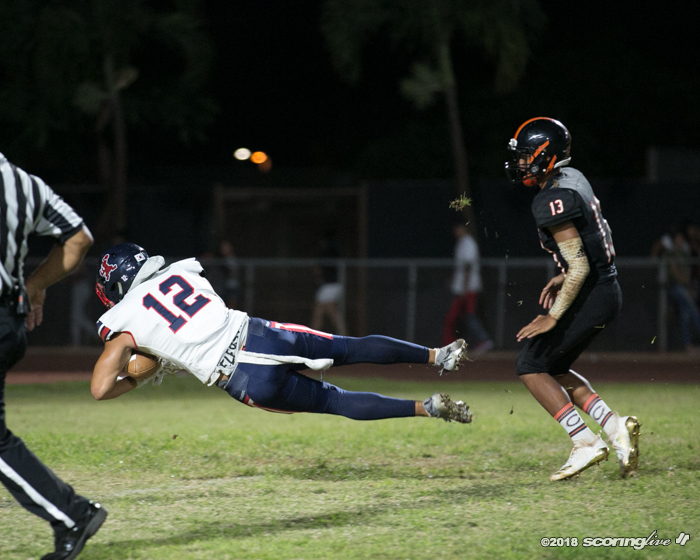 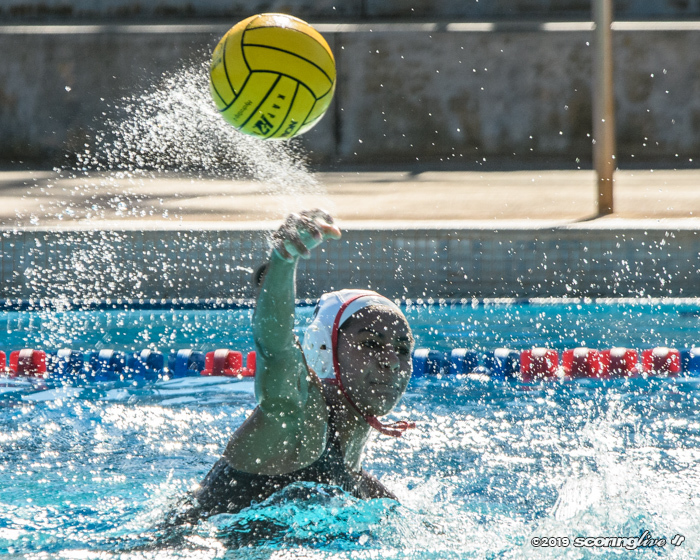 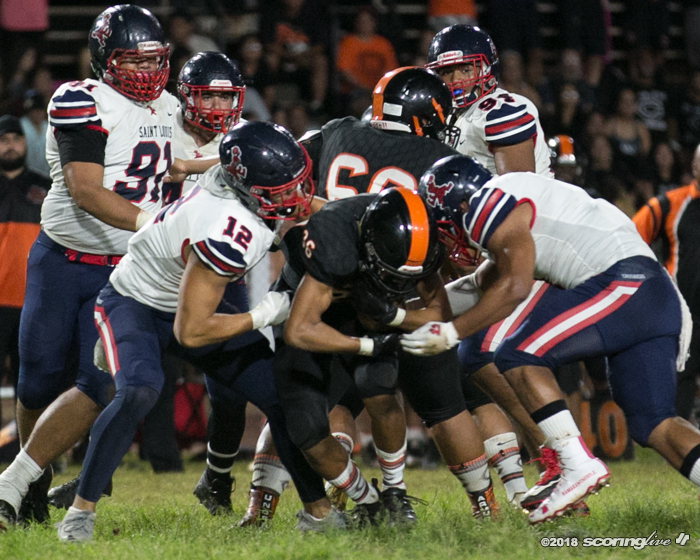 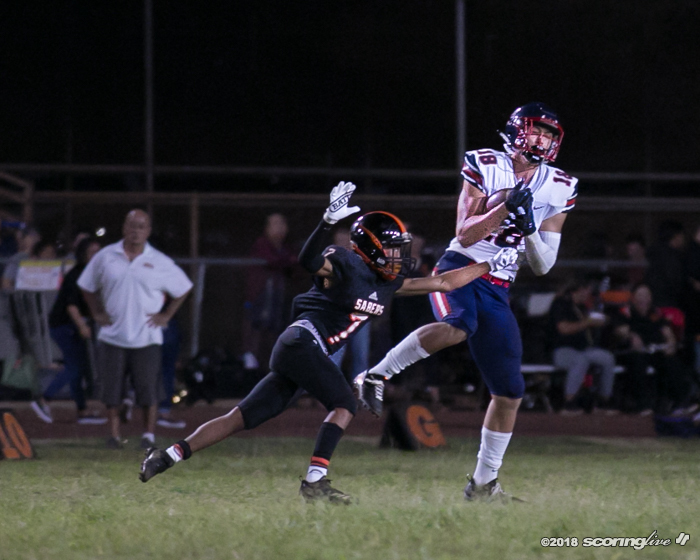 Quarterback Jayden de Laura accounted for three scores and the defense added three touchdowns to help Saint Louis improve to 6-0 overall and 5-0 in league play. 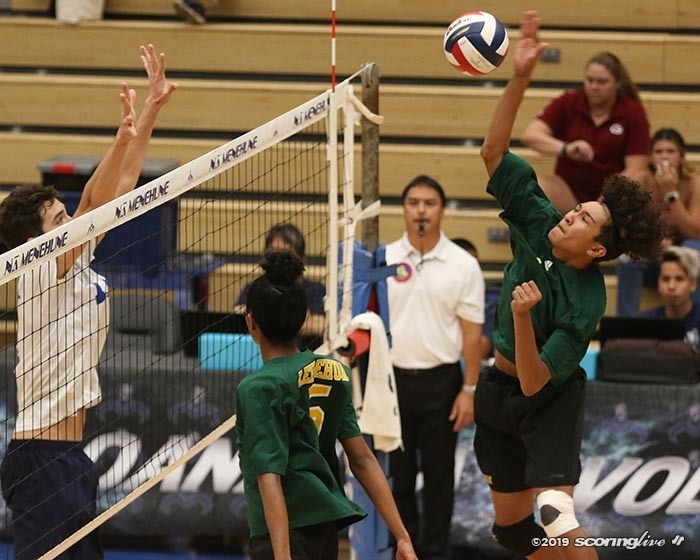 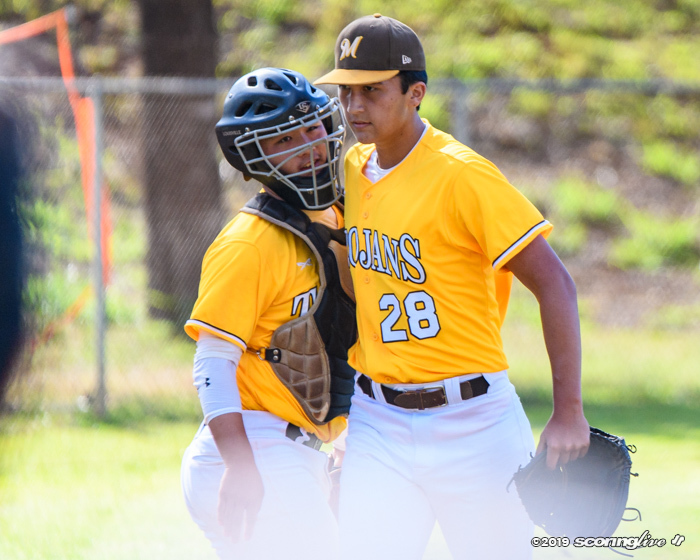 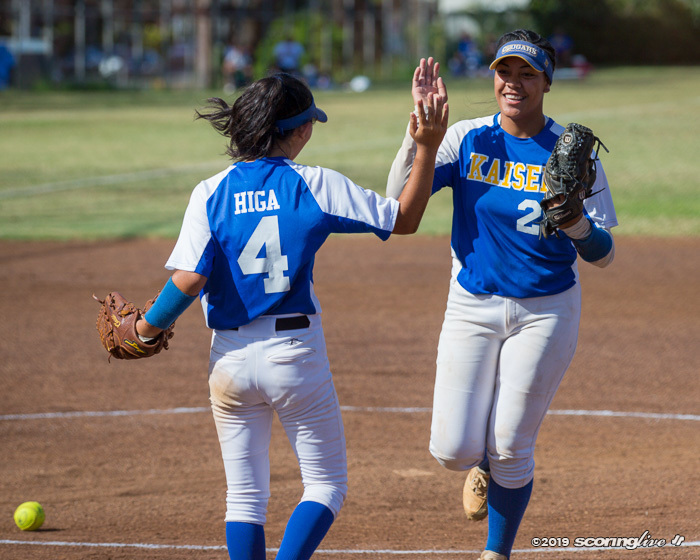 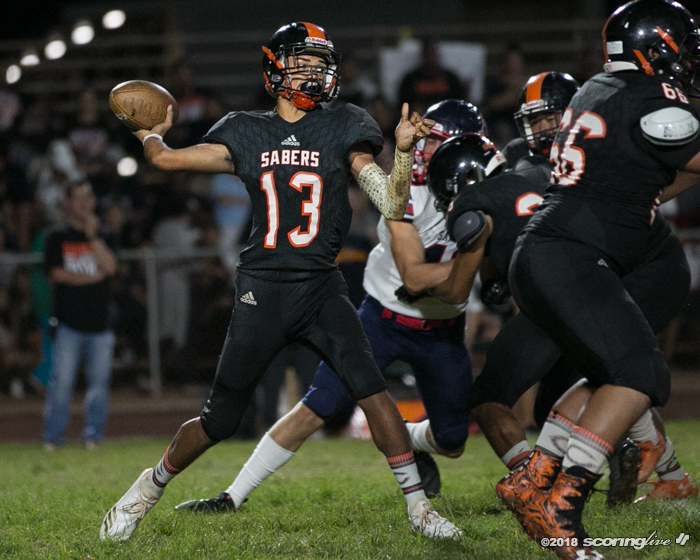 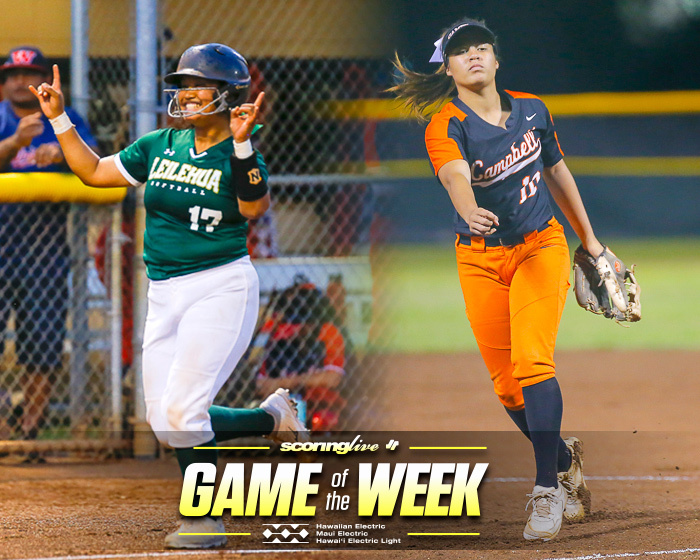 The Sabers, who dropped their third straight game, got their only score on a Kaniala Kalaola 20-yard TD pass to Titus Mokiao-Atimalama.